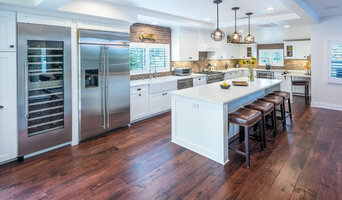 BK Remodelers is a full service Licensed & Insured home remodeling company that has worked on a wide range of projects. We have been servicing homeowners in southern California for several years. Osinoff General Contractors has been providing highly customized construction services to homeowners in Los Angeles’s finest neighborhoods for over 30 years. Welcome to the right place! With over a decade of experience and many happy clients Los Angeles based green remodeling solutions, can guarantee to turn your dreams into reality. From classic contractor services to contemporary services such as energy efficiency, audits and solar panel installation, J&I is here to ensure premier client care & unprecedented quality of service. We are on the cutting edge of home design trends and construction techniques. Safety and quality in every project is our strength. We are an architectural design company that specializes in new custom residential design, residential renovations and additions, medical and business office tenant improvements.